At CERN, the European Organization for Nuclear Research, physicists and engineers are probing the fundamental structure of the universe. They use the world's largest and most complex scientific instruments to study the basic constituents of matter – the fundamental particles. The particles are made to collide together at close to the speed of light. Relics of the early Universe not seen since the Universe cooled after the Big Bang 14 billion years ago will spring fleetingly to life again. The process gives the physicists clues about how the particles interact, and provides insights into the fundamental laws of nature. "LHC" stands for the Large Hadron Collider - the world’s largest and most powerful particle accelerator. The LHC consists of a 27-kilometre ring of superconducting magnets with a number of accelerating structures to boost the energy of the particles along the way. 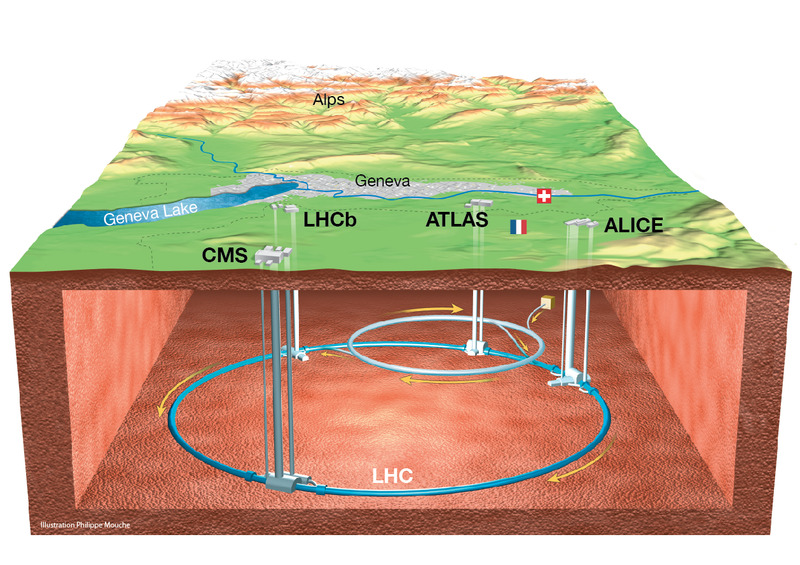 The beams inside the LHC are made to collide at four locations around the accelerator ring, corresponding to the positions of four particle detectors – ATLAS, CMS, ALICE and LHCb. Prior to the completion of the LHC, a massive grid project - the Worldwide LHC Computing Grid - was completed that would give more scientists the opportunity to participate in computer-aided research and would give CERN the ability to handle the mountains of data that the world’s biggest accelerator is capable of generating. However, this grid’s core function of managing mountains of data doesn’t leave enough room left over for extensive testing and simulation work. We originally started volunteer computing at CERN back in 2004 to help with 'proof of concept' designs with Sixtrack; to help design and improve particle beam dynamics. This project ran on a handful of desktop computers... However it was soon realised that by harnessing the power of thousands of desktop computers, we could in fact tap into massive computing resources which could enhance designs and test proofs - as well as providing a wonderful opportunity for interested general public to get involved in our research. From 2004, we indeed attracted many thousands of volunteers to run the Sixtrack code, making a huge contribution to designing and tuning the LHC's proton beams. This work still continues as the LHC design advances. Since 2011 we further developed the system to allow running a wide range of physics simulations, first for the CERN Theory Group (the Test4Theory project) and more recently for the large LHC experiments ATLAS, CMS, LHCb and ALICE. “My dream is to be able to establish a ‘virtual LHC’, which would require being able to generate 40 million events per second, as much as the real LHC, running at full steam,“ says Peter Skands, Science Project Leader for Test4Theory.